After much hassle with my new Shimano hub, which I wrote about here and here and here, the problems are finally resolved. The problem was with the hub, and a new wheel (and hub) has now been installed. Many thanks to Civic Bikes for fixing this very persistent problem for me. It was almost a pleasure to ride up the hill to home today as I was able to get first gear for the first time! Thanks, too, to the readers who suggested possible solutions to this problem. 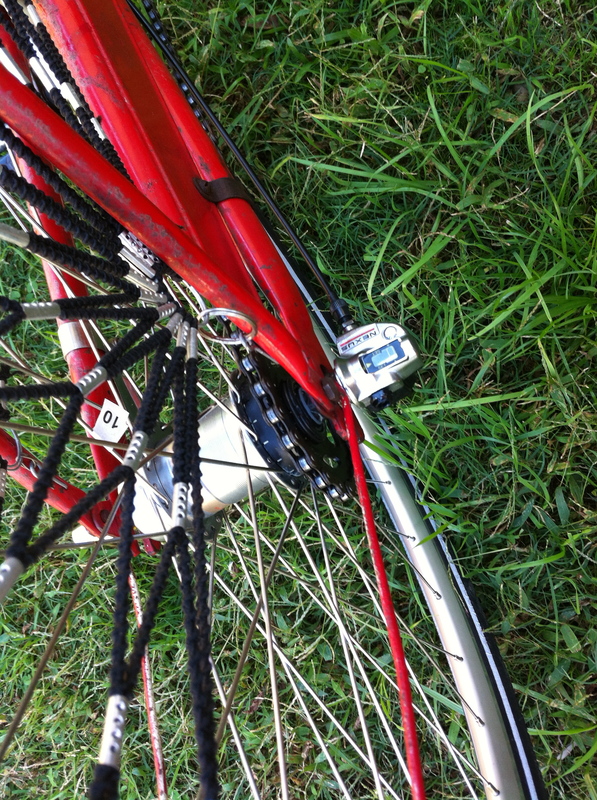 This entry was posted in My Bikes, Shimano Nexus 3-Speed, Vintage 1950s Speedwell and tagged review, Shimano nexus 3 speed, speedwell. Bookmark the permalink. 2 Responses to Shimano Nexus 3-speed problems solved! Yes indeed!It took the whole thing being replaced to get there, I hope the new one is OK for a long time! The problems I have had with this hub are among the most viewed on the blog so I guess it is not an uncommon problem ….